When I perform, I don’t think about the haters, the Internet trolls, or anyone else. I care about giving the person in front of me something they won’t forget. And that’s why I bring the cake and raft out. I haven’t had a chance to really to speak about all the controversy around my on-stage entertaining: DJing vs. The Cake (which includes the cake, the raft, the champagne, the stage dives…the entertainment part of the show). The haters and the trolls have always used me as an excuse to make fun of something that is out of the ordinary, something that doesn’t necessarily make sense to them. For whatever reason, I have always been a target that people love to attack. From not being American enough as an asian kid growing up in an all-white neighborhood, to not being indie enough for the die-hard hipsters in my 20s and now today, not being a “real DJ” for the electronic music purists. I know it may not make sense to a lot of people. Taken out of context these ideas are honestly bizarre. The thought of bringing a cake into a dance music show is a bizarre one. The idea of rafting on top of people is just as bizarre as well. And I think whenever something bizarre comes into play it immediately becomes an easy target. And for those reasons I know that I have been the target of criticism. No matter what I do, I can’t help but feel that I’m under a microscope. Some of it is completely silly and some of it is meant to be hurtful. For example, a website accumulated all of my music videos to point out perceived Illuminati images. I loved that one. Of course it was all ridiculous but funny. If you stand out in a crowd, famous or not, things like that are bound to happen. Then some of these Internet myths turn into tabloid reality. They become true to the general public. One of the biggest myths that has affected what people thought of me in dance culture, especially those that don’t know me, was from a parody (fictional website) called Wunderground. It was a comedic story on me being a fake DJ…I was an actor, not producing my own music, basically taking a piss on dance culture. When I first read that, I thought it was hilarious. The article even made up false quotes from me to make it seem real. Satire is a protected free speech (which I am a firm believer in) but this site walks a very fine line between satire and misleading the public. Of course there is FINE PRINT somewhere buried in the website stating that everything is fictional but that is difficult to find. Then people repost the story on Facebook and Twitter and people believe it’s true just based on the headline. They don’t stop to actually read it or learn about the site. Even a year later, I had artists from other genres saying, “Oh yeah, I saw that article you wrote.” Even my manager had industry people asking him, “Why did you guys write that? It’s so strange,” as if it was some sort of marketing ploy. This mythology just turned into a reality for a lot of people, so much so that I eventually had to make a statement. Unfortunately, the truth to a rumor doesn’t spread as virally as the rumor itself. The boring truths (like this article) only get read by the fans and most of them already know that these myths aren’t true anyways. For the record, I’ve never played a mix CD or faked DJing. In fact I started out on turntables and records, then learned Serato, CDJs, Serato video for my visual show and now often will use memory cards plugged into CDJs when I’m playing back to back with friends. Which brings me to another parody video. This recent one popped up of Laidback Luke, Sander van Doorn, and myself DJing at Luke’s WMC party. I’ve done this party every year with Luke and had a great time. We all bring SD cards, freestyling for an hour or so, taking turns from track to track. However the clip that appeared online was a very short snippet, recorded in between mixes. Taken out of context, people think that we’re just playing a mix CD and not DJing at all. Even Art Department, who I’m actually a fan of, jumped on the bandwagon. For people that don’t know what DJs are actually doing up there, when you’re not mixing into the next song or out of the previous one, there is not a lot to do. Of course twisting knobs (taking out the lows, turning up the highs to create your own musical story is all part of DJing itself) but it’s not absolutely necessary. Even playing with the effects to exaggerate a sound or diminish a particular sound is great but once again it isn’t necessary to do it every single song. Do I fuxx with the EQs and twist knobs? Yes, of course I do, but I might not do it all the time. And I give full respect to DJs that spend time working each track into their own style whether by scratching like hip-hop DJs do (an art form all its own) or adding effects, looping other tracks or samples, or whatever else one DJ might do to help tell their story. So then what do we as DJs do when we are up there, when you’re not mixing from one song to the next? Everyone is different but for me I add in another element to my set which is my props. Depending on a particular song I’ll do a particular action that is connected to that track. I really look at each song in its own context in terms of how it relates to the crowd. And I have to make a decision during that song whether I’m going to amplify the feeling in that song by either working the EQs/effects, looping a sample, letting the song just play out without added extras, or doing something outside the DJ booth (rafts, cakes, etc). It’s of course important to mention that when DJing, I’m building my own story through the music. I’m figuring out what song to play next, what song to play after that and how the two will blend together. How the emotion is going to develop from one song to another. So I first build that storyline. Then I use those props to further develop that story. Once again I’m here telling my story through my set and I want to bring out a narrative that feels, sounds, looks, (and with the cake, no pun intended) tastes different and unique. When you go to a DJ show the music is the main reason why you are there. But you cannot deny that when you go you are experiencing the show through all of your senses. What you see and feel are part of the experience. It’s not just what you hear. It’s all your senses coming together in one grouped feeling. So when you come to a Steve Aoki show you get a Steve Aoki experience. Let me give you the history of these tools. In 2009, I played Coachella for the second time and thought, “Oh god, this is really important. I need a bigger show!” I remember I got paid $4K and spent $7K building AOKI boxes (a very early version of the stage letters people know today). In addition I recruited friends in costume to add flavor and entertain the crowd. I remember the day before planning my show out at my friend Cobrasnake’s house. We bought all these thrift store clothes and fabric, then sewed neon cloaks with the help of a friend from a clothing designer (props to Ksubi). We brainstormed different props to bring out during my set including super soakers, Chinese dragons and … the RAFT. Out of all the different props that happened during my show the raft was the one thing that excited people the most. I jumped in at one point and that image later ran in Rolling Stone (next to a photo of Paul McCartney!). It stuck! Then the fans started jumping in the rafts and I realized what a great tool it was for fans to get involved and be part of the show. I realized how happy it made people and how happy it made me. Then in 2011, came the cake. I was thinking of new ways to engage with my audience and with a bit of serendipity and inspiration the cake was born. It was inspired by an Autoerotique music video, an artist on Dim Mak, that made a great music video where cakes exploded in people’s faces as they blew out the candles. I literally woke up with the idea of caking someone while playing that song to help promote the video. (The cakes even said “Autoerotique - Turn Up The Volume.”) After I retired the song from my set six months later though, I didn’t retire the cake. Fans had been shooting videos and showing their friends. They saved their cake-covered shirts like a badge of honor and it became a strong element of my show. The cake had gone viral. In the end, all these props are tools of expression. When the average person sees someone getting caked they probably think “Wow, that looks horrible” or, “That is so rude and uncalled for. How could you cake your fans that love you? That is just mean and cruel.” I always do my best to try and avoid anyone that does not want the cake. The way I pick who gets caked is generally by who shows me the most energy and is screaming for it. The cake is about celebration. It’s something to be experienced in person. When you see fans begging to be caked and how happy they are afterwards, it’s like scoring a touchdown. The whole place erupts and joins in that happiness. I know it sounds really cheesy, but at the end of the day, that’s the whole point. These tools of expression are meant to create and amplify energy. It doesn’t necessarily have to be a cake. Doesn’t necessarily have to be a raft. It can be anything that entertains and amplifies that happiness and energy. And in the end, my goal as a DJ is to make people feel something significant, something that they will remember. They don’t understand that cake and rafts are like nutritional supplements. The real meal is the music. However, I still can’t help but ask myself…should I stop caking people? Will that stop the haters from hating? Stop giving the trolls more content to target me with? I even ask myself, are the cakes and the rafts taking away from the art of my culture, DJing? By using these tools instead of standing behind the DJ booth, am I deviating too far away from that culture? Am I embarrassing or insulting it? I’m sure many people feel that I am because things I do are not part of the norm. I’m going to say this again, I’ve never played a mix CD. So if I’m going to get in front of the DJ booth for an activity, that means that I have to sacrifice time working on the song as it’s being played. It’s a lot of stress to deal with when you have a song that might end if you don’t get back in time. But that is my way of engaging with the crowd. Everyone has their own style and some DJs have mastered the art of using filters and EQs to help connect the audience with a song or a mood. That is their tool. This is mine. Lastly I should say that one of my own life-changing experiences was while watching two DJs that barely even moved their heads. Maybe they raised their arm once. That was Daft Punk. The production was incredible. Their mixing and timing of their effects and adding different samples over other tracks was mind-blowing. They mixed their songs in ways that you’d never heard before. It was something that could only be experienced live. Go download the Alive album by Daft Punk to understand what I’m talking about. I listen to that set over and over again to this day. So there are all different ways to amplify the crowd. Daft Punk amplified the crowd in a way that changed my life and they never even left the booth. This is my expression. This is my way. So the question is, do I sacrifice all that? When I perform, I don’t think about the haters, the trolls on the Internet or anyone anywhere else in the world. All I care about is the person in front of me, and I want to make that moment important…something special. I want to make that connection so powerful, something that will never be forgotten. And that’s why I bring the cake out or the raft out. When I see the person who was begging for the cake then get covered in frosting as the crowd roars, smiling from ear to ear, it’s a unique and incredibly exciting feeling for myself, for them and for the crowd. I love being part of that energy, being part of that feeling. The haters and Internet trolls don’t get it. There is no context because they don’t understand where I’m coming from. So this is why I wrote this. I wanted to give context to what I do. I wanted to share my feelings with my fans and my haters. When it comes down to it, I plan on caking people as long as people want it. My choice is to cake. 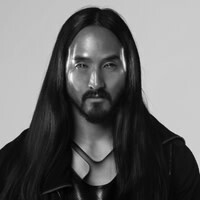 Steve Aoki’s new album Neon Future I will be released on September 30 on Dim Mak/Ultra Music.